Our carousel repeat service is designed to help you save time. You will no longer have to go to the doctors to pick up your prescription then bring it to the pharmacy... and wait while it is being dispensed... and checked... because we will do it all for you! 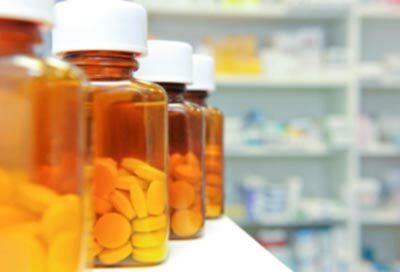 All you have to do is come into the shop or ring us and we will discuss a repeat system that will match your needs so that your medication will be ready to collect at the right time. With our system we will ensure that you never run out of medication and besides we are open everyday, including Sundays, until 10:30pm, so you can come anytime! We also offer a completely free delivery service, whether its a dossett box or just a regular prescription, our driver will have it covered. If you are unable to make it to the pharmacy then you don't need to worry, because we can make it to you. If you are interested in our free delivery service then give us a call on 0113 3180277 or 07906576565. 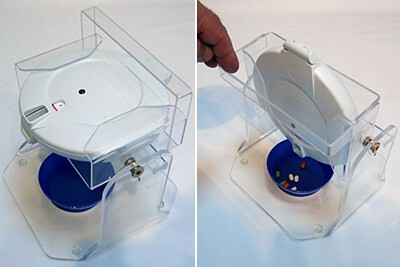 Dossett Boxes are weekly pill trays that are filled with your medication and delivered to you completely free. The dossett box is split into 4 seperate parts of the day; morning, lunch, evening and bedtime. Our Dossett boxes are designed to make your life easier and avoid dosing confusion. 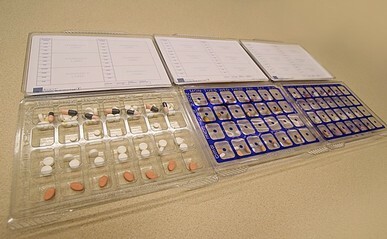 Pill trays rmake it easier to remember doses and can be especially helpful for those with desterity problems due to old age or athritis. We also fill electronic pill trays which are made by Telecare. These are pre-programmed and an alarm goes off when your tablets are due, your tablets will then pop out and be ready to be taken. The Telecare trays are sponsored by Leeds City Council. If you're interested in our electronic pill trays then you can call us or contact Telecare directly on 0113 2243485. We are now selling a wide range of high profile perfumes, at very low prices. We bet you won't find perfume cheaper anywhere else around East Leeds, so why not come take a look at our selection. These can be perfect gifts for birthdays and Christmas!